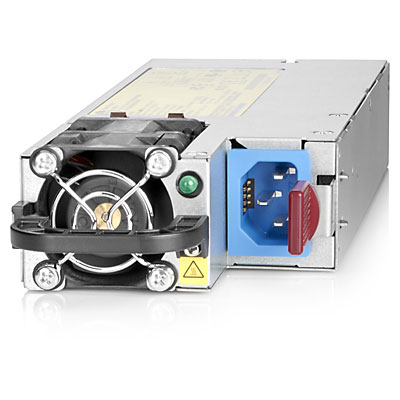 Results for Product Code "684532-B21"
HP Common Slot (CS) Power Supplies share a common electrical and physical design that allows for hot-swap, tool-less installation into HP server and storage solutions. CS power supplies are available in multiple high-efficiency input and output options, allowing users to “right-size” a power supply for specific server/storage configurations and environments. This flexibility helps to minimize power waste, lower overall energy costs, and avoid "trapped" power capacity in the data center. A key part of the HP Thermal Discovery Services, CS Power Supplies provide the IT industry’s highest level of power efficiency(up to 96%), helping customers to reduce power requirements by up to 60W per server and reducing overall data center power requirements by up to 10% (as compared to ProLiant G6 power estimates). CS Platinum Plus, and Titanium power supplies also enable HP Power Discovery Services which focus on increasing compute density while reducing data center outages.